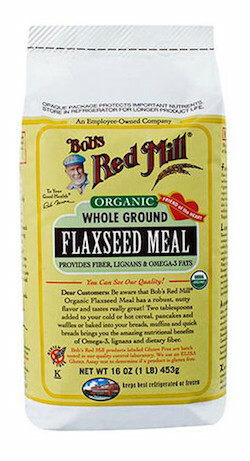 Bob's Red Mill Organic Brown Flax Seed Meal offers a wonderful nutritional boost to almost any recipe. Omega-3 fatty acids, 4 g of fiber and lignans make for a heart healthy nutritional combination. Mild in flavor and ground for maximum availability of nutrients, Organic Brown Flax Seed Meal can be inconspicuously added to almost any recipe - smoothies, shakes, breads, cookies, pancakes, waffles and more.